Let’s begin with a riddle. What do a Dalit Pentecostal living in Calcutta, a Roman Catholic priest living in Spain, and a Baptist housewife living in Dallas, Texas all have in common? The answer is “a Christian worldview.” Or at least it should be. But just what is a worldview exactly? And what is a Christian worldview such that it could provide a common conceptual framework for individuals as diverse as these? And what difference might that worldview make to the way that Dalit Pentecostal, that Roman Catholic priest, and that suburban housewife presents that worldview to a skeptical world? In this episode of The Tentative Apologist Podcast we explore the question of worldview and apologetics with Dr. Tawa Anderson. Dr. Anderson is Assistant Professor of Philosophy and Director of the Honor Program at Oklahoma Baptist University. He has a PhD in Worldview and Apologetics from Southern Baptist Theological Seminary and is coauthor of the forthcoming book Be Thou My Vision: Pursuing God’s Perspective in a Pluralistic World (Intervarsity, 2015). 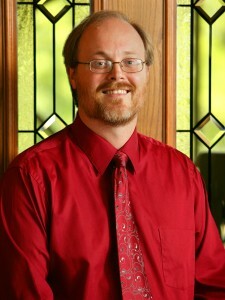 Dr. Anderson is married to Vanessa and has three children.